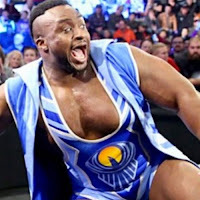 - Big E spoke briefly with The Wrap on the New Day turning heel and talked about how he thought it would have already happened. "After we dropped the titles to Sheamus and Cesaro about a year ago, I really thought that's where we were headed," Big E said. "I think there was a lot of feeling that we were stale, and we kind of felt that way as well. We were getting a smattering of boos — sometimes more than a smattering. I feel like we have a lot left to offer in terms of different varieties or different incarnations of The New Day. You never know in 6 months how people are gonna feel." - WWE stock dropped by over 3% in after hours trading to $30.80 / share after WWE Chairman Vince McMahon sold 3.34 million Class A common shares of company stock, worth around $100 million. The SEC filing noted that McMahon "executed the sale primarily to fund a separate entity from the Company, Alpha Entertainment LLC, which Mr. McMahon established to explore investment opportunities across the sports and entertainment landscapes, including professional football."